ARE THE VIEWS REALLY THAT GREAT? CAN YOU HEAR THE HIGHWAY NOISE AT BEACH SIDE BRELA? There is absolutely no highway noise. We are fortunate to be far from the coastal highway and our street has no through traffic, it’s a dead end street. Our street is very secluded, that is why it’s crucial you follow our directions on locating us. ARE THERE RESTAURANTS NEAR BY? Below our house along the beach pathway there are cafes, cocktail bars and restaurants. We have a new café that just open 2 seasons ago! I love it. Its right next to our beach access steps. Covered in straw, so great shade and the cappuccinos are great so is the beer. 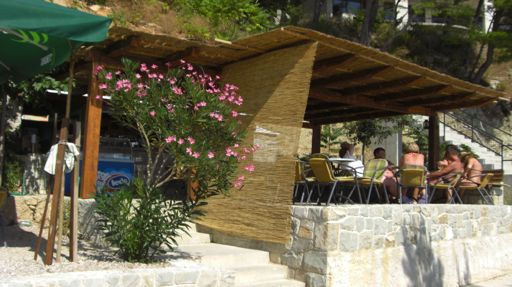 Here is a photo of the café, its right next to our beach access steps! How convenient is that! This photo is a picture of Restaurant “Plima”. It is very casual and great prices. Full meals start at an incredible price of 40 Kuna’s per person. For example, grilled pork kabobs or the Croatian Cevape (ground meat), French fries and salad all for 40 Kuna’s (~$8.00). Can’t beat the price! The setting is overlooking the beach, nestled among many trees. When you come down to the beach, just turn left & go about 150 meters. Restaurant “Burin” not so casual and meals start at roughly 65 Kuna’s. When you come down to the beach, turn right. You’ll come across two cafes next to each other. Go up the road, 50 meters and on your left hand side you’ll see the restaurant. WHAT IS THE WALKWAY TO THE BEACH LIKE? Here is a picture of the steps that you take to get to the beach. Yes, I can say, we do! We installed A/C units in each room. So you will be able to set your own desired temperature…should make your stay very comfortable. DO THE ROOMS COME WITH LINENS & TOWELS? Yes, bed linens and towels are included. We accept credit card payments for reservation deposits. For remaining balance we accept only cash. For your convenience we accept Euros or Croatian Kuna. Deposits are made by credit card through pay pal or bank transfer . Balance of payment is due in cash upon arrival at Beach Side Brela. Yes, we do offer parking to our guests. We are fortunate to have expanded our parking lot last year, so there is plenty of parking at Beach Side Brela. And it’s conveniently located in front of the house. 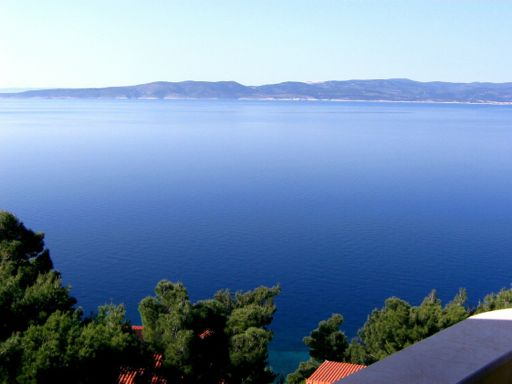 IT IS POSSIBLE TO MAKE A TRIP TO HVAR OR BRAC FOR THE DAY? 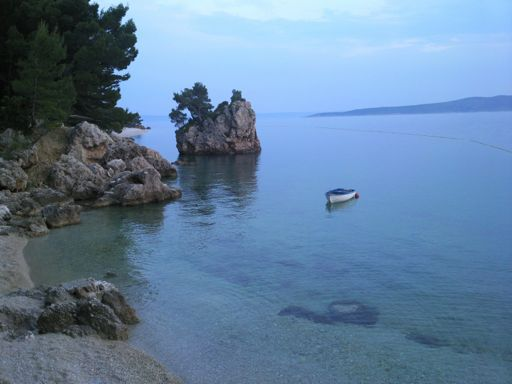 Certainly you can take a day trip to the Island of Hvar or Brac or both!. The rate has typically been around 160 Kuna’s or 22 Euros per person (fish lunch or chicken included and one drink). They can pick you up at the restaurant (on the sea side) below our house. Restoran “Plima”. 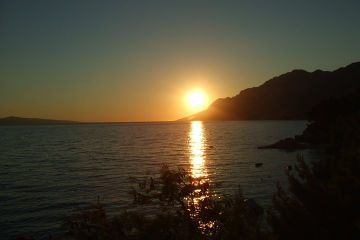 From Makarska you have a larger variety of day trips to choose from for the same price. 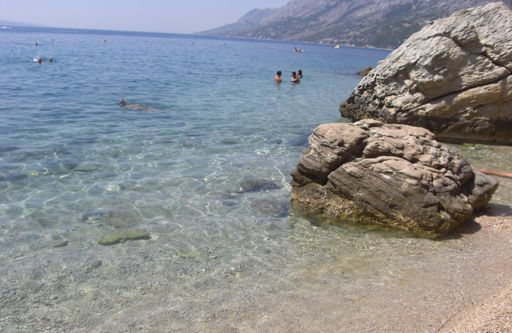 The choices include different boat trips to Hvar, Brac and Korcula. PLEASE DO NOT BOOK WITH A BOAT COMPANY CALLED “LIPA BRELA”. All my guests who have booked with them say they are very rude and unprofessional. I believe if booking from Brela, you will have two boats to choose from and the other company is great. The guests have a great time, very lively. It’s very convenient too; usually you’ll be approached on the beach for boat excursions but please do not make the mistake of booking with “Lipa Brela”. SHOULD I RENT A CAR OR IS PUBLIC TRANSPORTATION SUFFICIENT? It does make it easier to see more things, if you have a car. Budget Rent seemed to be the most competitive with their prices, when I looked into it. 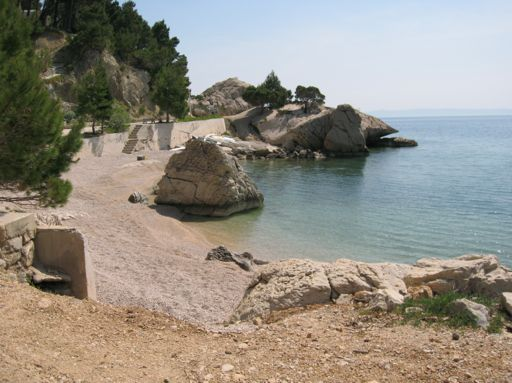 There are rental companies in Makarska that will delivery your car to you at Beach Side Brela…it’s worth asking. I have had guests to that before. If you’re looking for a relaxing time on the beach away from the congested cities than maybe hiring a taxi might be a great carefree alternative. I have a great taxi guy who lives close by and I highly recommend his taxi services. We can always order a taxi for you. ARE THERE A LOT OF RIVER RAFTING COMPANIES TO CHOOSE FROM? Yes, there are many companies that do the rafting on the river. I did the rafting adventure with my kids and it was definitely the highlight of our summer. The company I use, I have an agreement with them where they pick up my guests near our house (walking distance) and they bring you back, for a reasonable fee (50 Kuna’s/person-both ways). Just let us know a day of head of time to call the Rafting Company and let them know you will be arriving. There are two sessions, one in the morning that starts roughly around 8:45am and an afternoon session. It’s about four hours on the river, lots of fun. The cost is 200 Kuna’s/person-for adults. They offer children discounts depending on their age. ARE THERE SHOWERS AT THE BEACH? Yes, they are really nice stone showers. Here is a picture of the shower at the beach. IS THERE A TOURIST AGENCY NEARBY? We have a tourist agency about 100 meters from our house. They should have lots of helpful information. They can arrange excursions for you for a fee. The taxi company I use also offers many excursions…I’ll have to put something together to tell you a little more about them. Ask me if this is of interest to you. HOW FAR ARE YOU FROM THE CENTER OF BRELA? I think were probably a mile from the center of Brela. 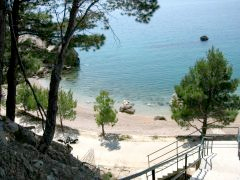 The entire coastline of Brela is connected by a paved walkway along the beach, with cafes and restaurants along the way. We are fortunate to be on the tail end of Brela, so were away from the crazy crowds. There is always a place to lay down a towel on the beaches below our house. ARE ALL THE MONTHS EQUALLY CONGESTED WITH TOURISTS? If you want less crowds May, June or September is your month. If you like a livelier environment than July and August are your months. The reason we chose the house we did was because it is at the end of Brela and it's not nearly as crowded, it's more for families and couples. The beaches around our house you don't have to search and struggle to find a place to put your towel down, it has more of a private feel to it. Middle of July to the middle of August is the craziest!!! ARE THERE THINGS TO RENT DOWN BY THE BEACH? My kids loved renting the paddle boat w/the slide (right below our house). It's only 50 Kuna’s for an hour (~$10.) and they had a lot of fun with that. Need to have the arm floats for little kids; otherwise it can be a little scary sliding off into the water...till they get comfortable… just to get started. They also like the banana boat ride. They pull up to you on the beach and it's 50 Kuna’s per person. That was a blast. Here is a photo of them on the banana boat ride. They rent bikes down at the beach for the day. It’s the second house on your right. Signs are posted. The biggest hit for kids is the ice cream. My largest expense was the "sladoled" because there is a cafe right by our favorite spot on the beach and we had to make a few trips a day there. Its right next to our beach access steps. Five Kuna’s for a great scoop of ice cream and the cappuccinos are amazing at 10 Kuna’s. Of course they serve the usual beer, liquor, wine…. There is also jet skiing. It is a lot of fun. It is pretty pricey. It cost between 180-200 Kuna’s for 10 minutes (seats three). WHAT ARE THE BEACH’S LIKE? Brela, also has a walkway along the beach that extends for many kilometers and in the evening there are light posts (for an evening stroll) and benches along the way (also restaurants & cafes). Great for evening strolls along the beach side. Here is a photo of the walkway along the beach. 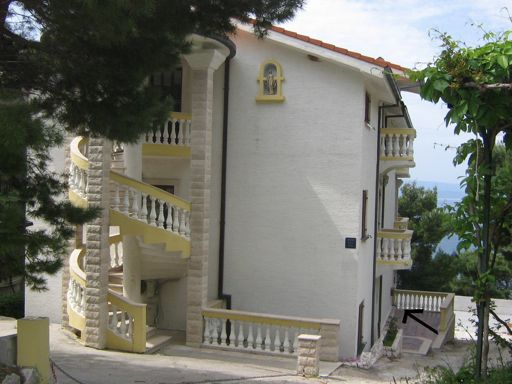 We are on a hill side so the views are amazing of the sea, nothing blocking the views, overlooking the Adriatic Sea and the Island of Brac. We have restaurants, cocktail bars, cafes... down at the beach. Brela has a great beach walkway that connects all the beaches, restaurants, cafes... The beaches are amazing. The water is so clear and clean it is breathe taking. 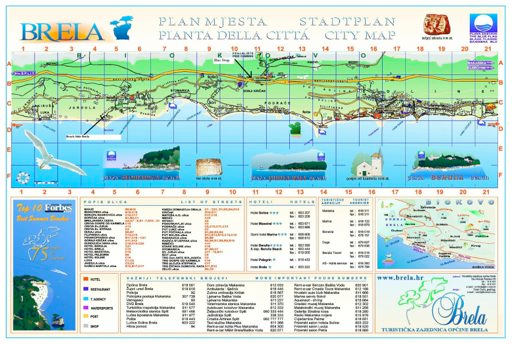 In the reception area we have a map of Brela to help guide you. You can also purchase river rafting tickets and day boat excersion ticekets to the islands at the reception desk! At the beach you can also rent bikes, banana boats, Jet Ski’s and paddle boats. When coming from the bus stop to our house you will pass a little market called "Market Brela",(it's the closest one) they sells pastries, milk, drinks, eggs, deli meats and many more essentials. Fresh bread is delivered daily to the market. 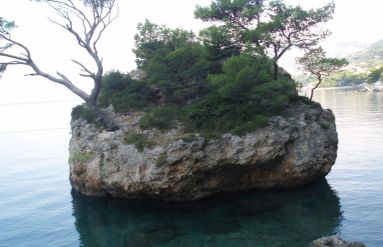 Don't forget to go for a long walk and visit the famous Brela rock (with the tree growing from the rock), it has spot lights on it at night. Remember at the reception you can arrange River Rafting on the Cetina River (You just need to give at least 24 hour notice). It's not for people who have been river rafting before and want a wild & crazy ride. The beauty is amazing. I went river rafting with my kids and it's so lush in greenery, it’s about a four hour trip. Our reception can reserve it for you at no charge. The river rafting company’s offer pick up and drop off for an additional fee (~50 Kuna’s round trip/person). We are 45 kilometers south from the Split Airport. We are one exit before from the main entrance to the center of Brela if coming from Split (North) and one exit after the main entrance if coming from Dubrovnik (South). Also, due to the fact that we are on a hillside please be aware that there are steps that you need to take to get to the beach (incline). :) This year I had guests who rented a motor boat down at the beach. I believe they said the rates were a half day rental for 400 Kuna’s or full day for 600 Kuna’s. 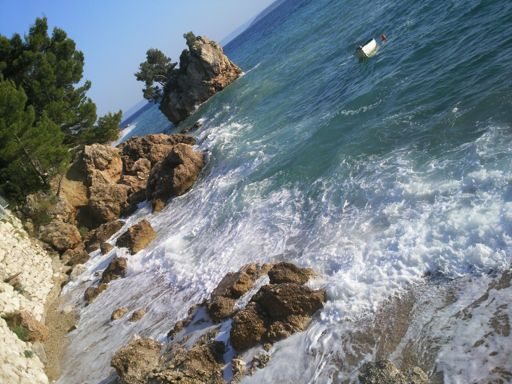 They took the boat out to the right of Brela for 30 minutes and found a great secluded beach area. They said it was the most enjoyable thing they have done. In Croatia many tourists are surprised that you can pay for many things in Euros. Most excursions and activities are quoted in Euro’s. We require a 25% deposit or pay first night in full, whichever is greater. We have 2 payment options for reservation deposits listed below. Please just let me know you’d like to pay the deposit by credit card and I will send you the request for payment through pay pal. It’s a very simple process. It is also the cheapest and quickest way to take care of your reservation deposit. For our German guests we have a German bank account to avoid the high fees charge for bank transfers. Please ask for bank instructions to be emailed to you. HOPE YOUR STAY AT BEACH SIDE BRELA IS AMAZING!!! There is a black line pointing to our location, labeled Beach Side Brela. In the bottom of C:4 box.